Cate Blanchett just gave one of the most memorable interviews with the TV program The Project, and not just because she dropped the F-bomb. 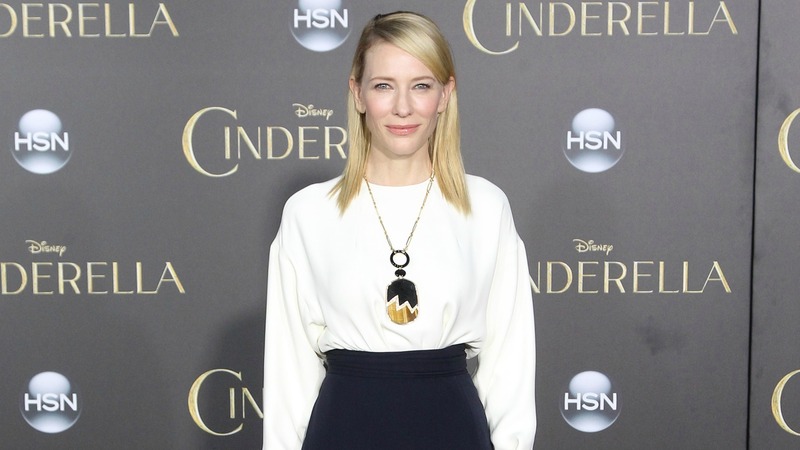 The Cinderella star was there to talk about her new movie, but the interviewer, Jonathan Hyla, was far more interested in other topics, including what vodka he should have brought her and why he would be a really controlling parent. The questions were all in jest, and the Oscar-winning actress played along with him. But the best part came when Hyla asked Blanchett about the cat in the film and how she managed to get the adorable gray animal to walk on a leash. Cue the best response ever: a confused-looking Blanchett is blown away by this question and looks around for her publicist to see if Hyla is actually being serious. “That’s your question? That’s your f***ing question?” she asks, before cutting the hilariously awkward interview short. It’s a fair question, though because Earth to Cate Blanchett: Didn’t you know by now that the internet is obsessed with cats? LOL. Best interview ever. Be sure to watch the full version of it below.